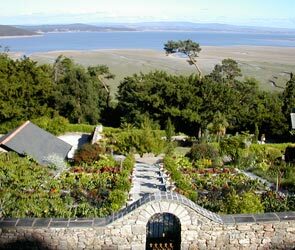 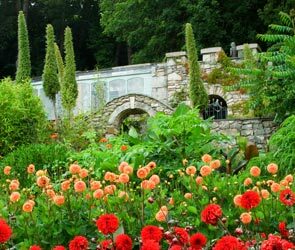 The Italian Garden is a series of limestone terraces which were built in place of a steep grassy bank. 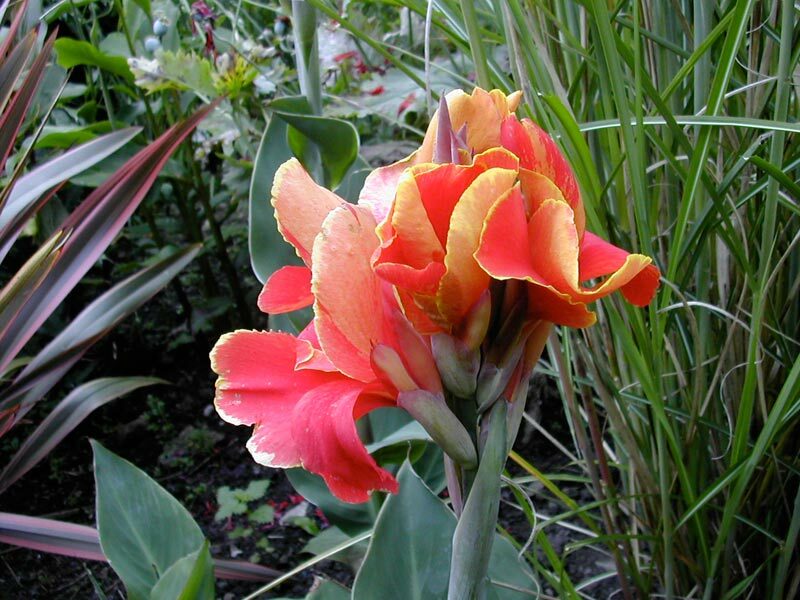 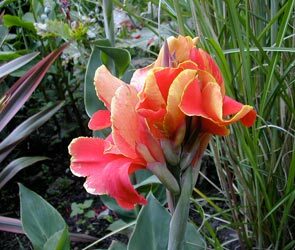 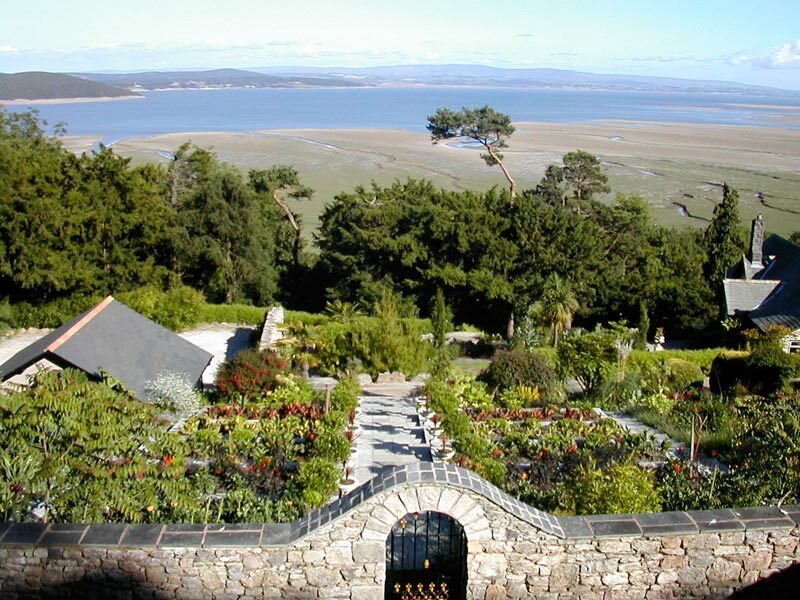 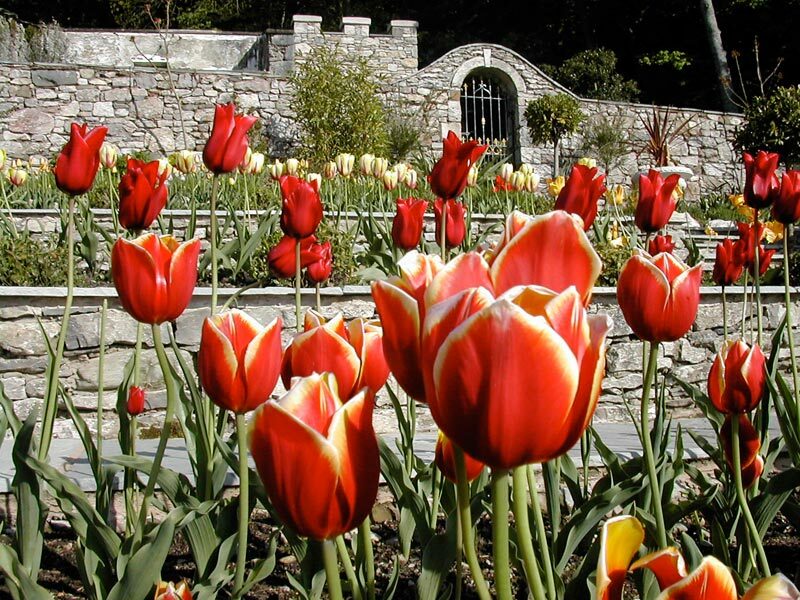 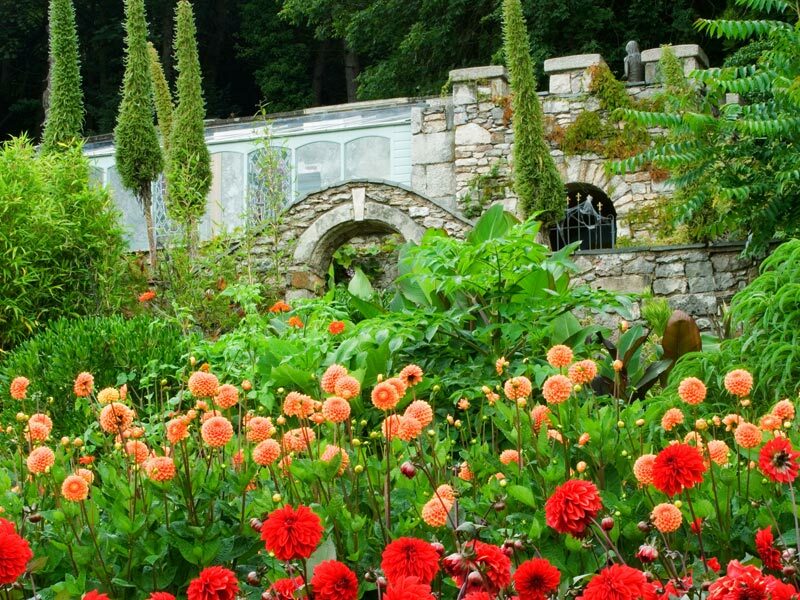 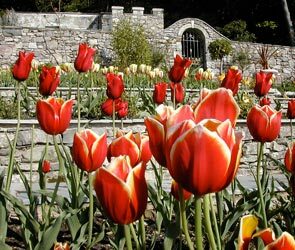 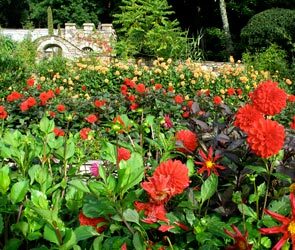 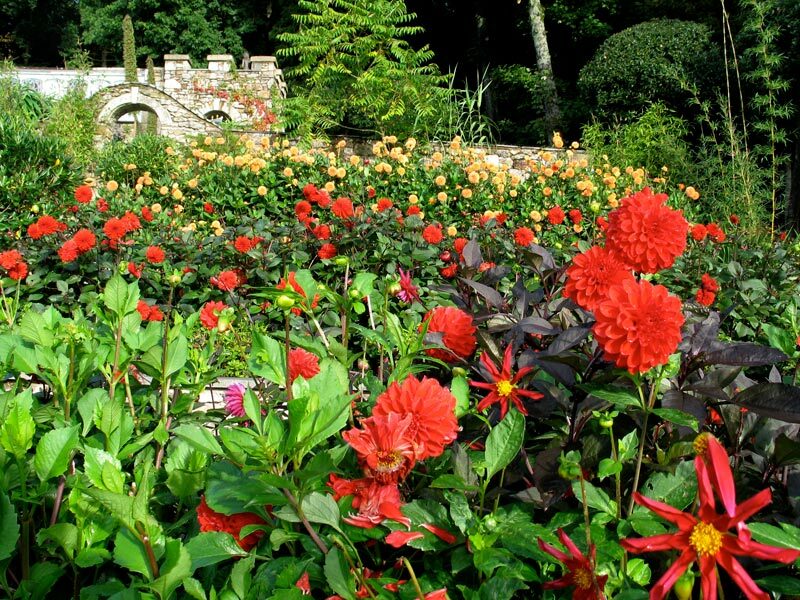 The terraces are a sun trap and the abundant limestone walling retains the heat throughout the night so this area is ideal for displaying our collection of exotic plants, particularly Dahlias. 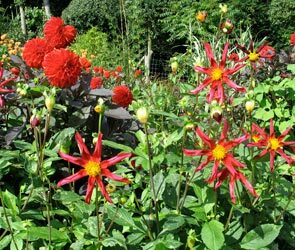 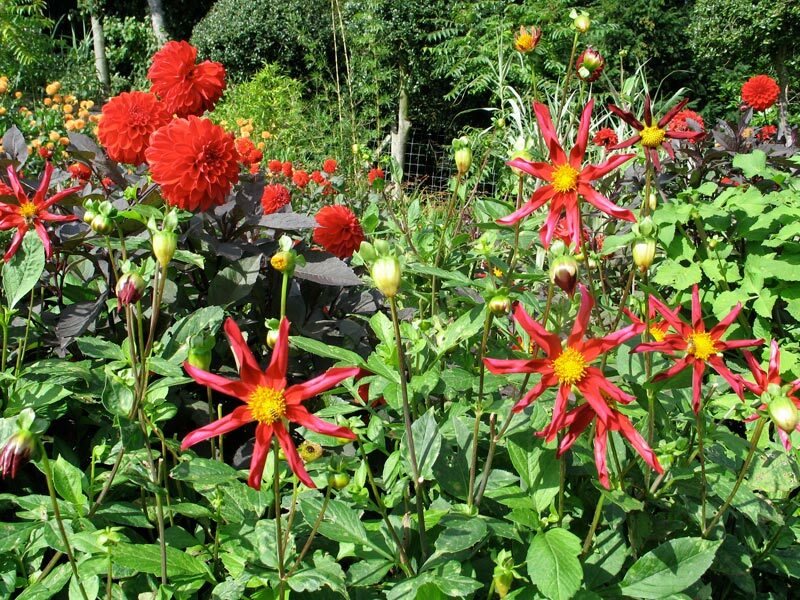 The Dahlias include a collection of species tree Dahlias, which have a much longer growing season than the hybrid Dahlias and will come into flower as late as December, long after the hybrids have been cut down by frost.